Laughter fills the air at Pukete Kindy in Hamilton as 20 energetic children play outside. In one corner a group pretends to be pirates digging for treasure in a sandpit, across the playground a competition is underway to see who can get across the monkey bars the fastest, and inside, kids are clomping around in high heels several sizes too big for them during a game of dress up. The kids at the kindy are aged 3-5 years old and today they’re going to learn how to handle themselves in a home emergency through a Red Cross initiative. Kiri and the Emergency is a picture book aimed at young children introducing them to basic first aid messages. The story follows Kiri, who finds herself in the middle of an emergency situation after her Nana Rose falls down an embankment and injures herself. Kiri has to take charge, keeping herself safe, her Nan warm, and dialling 1-1-1 to get an ambulance to her address. After going through the book, students Maia and Ethan say they feel confident they could help if there was an emergency at home and no adults around. “Call an ambulance when someone falls down,” Ethan says without missing a beat. “Yeah, we call 1-1-1,” Maia chimes in. 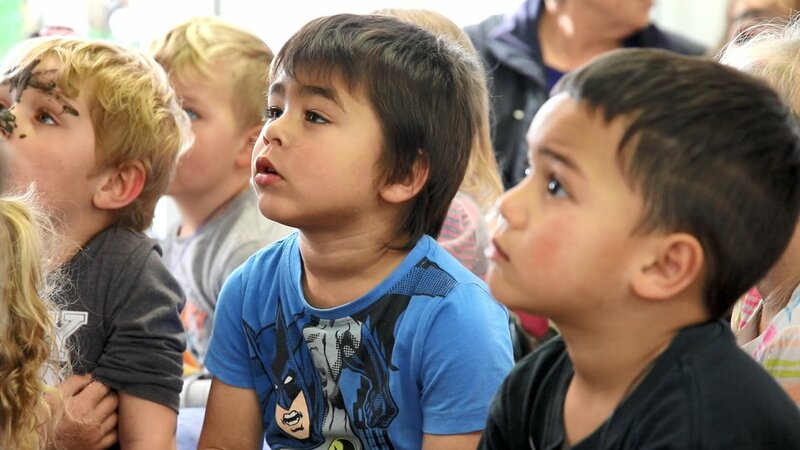 The book is now being rolled out in schools and kindergartens across the Waikato and Hawkes Bay to help children be good and ready in case an emergency arises. The book is also available in Te Reo Māori - Kiri me te Aituā – and New Zealand Sign Language. If you’d like to find out more or see if it’s available in your area, contact your local Red Cross service centre.